We went in early June, just after the bank holiday and before the school holidays. The weather was sunny and warm (about 22 C average), though it also got very wet in the evenings due to the geographically nature of the region. It wasn't too busy and most holidaymakers were Italians with the odd Americans, Germans and Brits. Incidentally, the path of Cinque Terre are ticketed and you can also include the usage of unlimited train rides between the villages within your ticket. 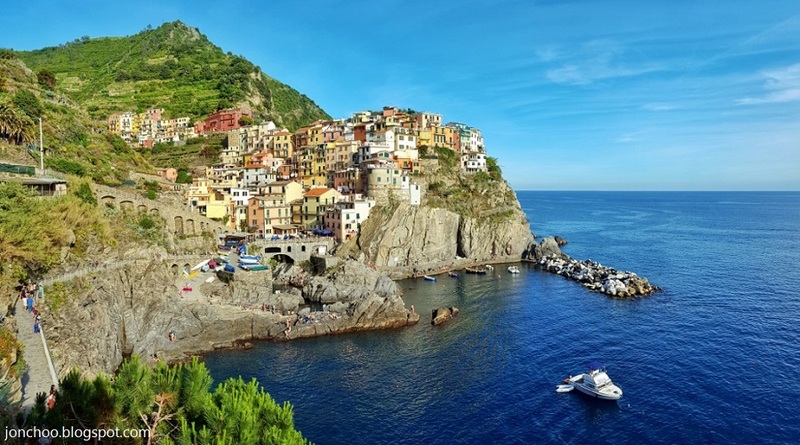 While Cinque Terre itself isn't too expensive to eat out (expect to budget about 20-40 euros per person for food). we found Portofino to be ridiculous pricey (we ate at a restaurant famous for the 30 euros prawns - that's five euros per prawn!). This is hardly surprising considering Portofino felt more like Mayfair than a fishing village it once was - thought still incredibly photogenic and well worth visiting. 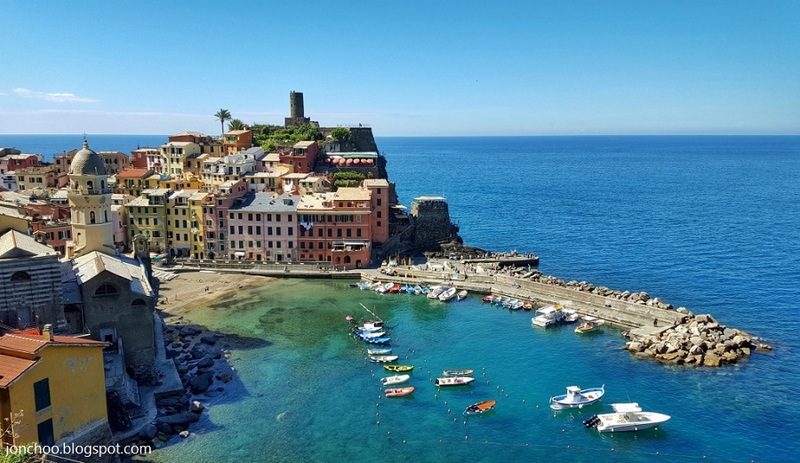 The Italian riviera might not be as well known as the French riviera and Amalfi coast, but if you want to enjoy good food (pesto and seafood), amazing coastal towns that appeals to both backpackers and celebrities, I would recommend making this region of Italy a top priority to visit in the near future. In fact, we are already planning a return visit for next year.